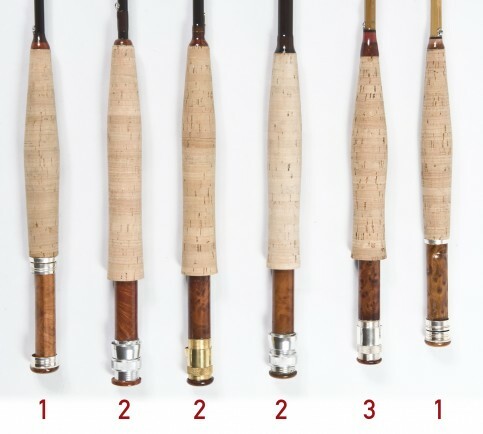 Based on our long experience we have selected the most appropriate handle for each type of rod. You are however free to choose a different handle of your liking from our available range as long as it can be fitted to the diameter of the rod blank. To be clear the handle consists of the following elements: the cork, and insert plus the metal components of the reel seat. The metal components can be selected from many variants: black, silver, titanium, gold. For more information please consult our technology sections. NEW BLANKS, WITH BAG AND JUST ASSEMBLED WITH GUIDES, SERIES TR3, DREAMCAST RD,TR4105, RCT911.